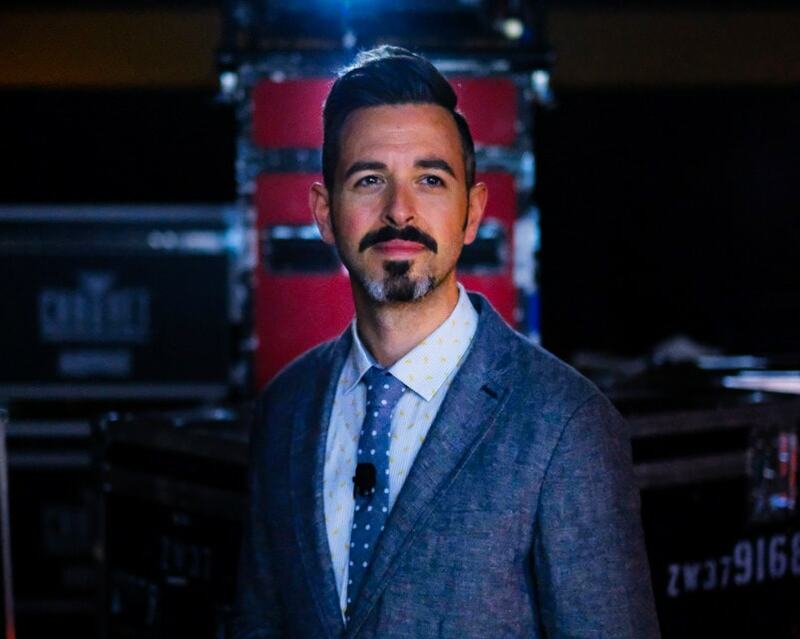 To say that Rand Fishkin is the ‘Godfather’ of the SEO industry may not be technically true, but it kind of feels that way. He’s been a thought-leader in the digital marketing and search space since as long as I’ve been in the game (12+ years for me which is an eternity in anything digital these days), so if there were a Mount Rushmore of SEO (or digital marketing), he’d probably be on it. He’s been showing people like me how to slay the dragon that is Google for years, and lots of folks owe their ability to have careers in the digital marketing space directly to his efforts. Not only that, but he also Co-Founded a pretty well-known SaaS company called Moz along the way (with his Mom I might add), and built it into one of the best and most respected digital marketing platforms to this day. Recently, he Co-Founded a new startup company called Sparktoro, aimed at helping marketers, public relations professionals, and entrepreneurial teams learn more about the audiences they want to reach. He also just wrote a book entitled, ‘Lost and Founder: A Painfully Honest Field Guide to the Startup World,’ in which he shares his eperiences and lessons learned. I connected with him to talk about everything ranging from his time at Moz, to the founding of Sparktoro, his book, as well as to get his thoughts on a number of subjects including funding, venture capital, content marketing, personal branding, gender-equality, and more. You co-founded SEOMoz (later shortened to Moz) way back in 2004 with your mom. Can you tell us about the early days of SEOMoz? Sure, so it started as side-project – it was just a blog – that I built to mostly share my frustrations and experiences trying to learn SEO. We had accumulated a lot of debt as a little mini web-design/consulting shop, and we were trying to get clients, we couldn’t afford to pay our SEO sub-contractors, and so I had to learn the practice myself, then try to do it, and had a difficult time. The industry was very secretive in those days. People held their practices really close to the vest. That didn’t sit well with me, and I wanted to make something that would be transparent, open, and accessible for everyone to learn SEO. That kind of became my mission as the site got bigger, went into 2004-2005, and then we shut down the old business (the consulting business) and started just taking SEO clients because the blog had sort of taken off. Then, I was getting invited to speak at events starting in ‘05, and those led to some clients which then helped us dig our way out of debt. Definitely very, very different than what Moz became as a software company where it was just me, my mom, and Matt (Inman) our programmer who later went on to found The Oatmeal. Just the three of us kind of making it work the best we could, living on tiny salaries – next to nothing. I’d moved in with my girlfriend – who became my wife – Geraldine, so it was different days. So I’ve read, and I’m admittedly a slow reader, the first couple of chapters of your book ‘Lost and Founder’ and anecdotally kind of know some of the background stories of what you’re talking about in terms of where you started in the beginning and being kind of rough and maybe running into a few “leg-breakers” here and there. And so, I guess what point did you realize things are going to be okay and maybe this (SEOMoz) is going to be successful? Hmmm, that was probably 2007 when we launched our software. I mean we didn’t even really think of it as a software launch, right? We basically had some tools that we’d built for ourselves, Matt said that our servers couldn’t support it if we opened it up to everyone. So we built a little Paypal paywall that you had to Paypal us $39 a month to get access to it, and that subscription – 6 months in – was doing as much revenue as our consulting business. So, you mentioned your blog taking off. Can you talk about the process of making SEO – which wasn’t transparent at the time – and go through the story of the blog taking off? We had a few big successful pieces, one of them was ‘The Beginners Guide to SEO,’ the other one was the ‘Search Engine (Google) Ranking Factors,’ which again sort of took off and many people have since copied and made great versions of. I would say the big thing about the blog that made it successful was that we/I had time. I started blogging in 2003 about SEO. It wasn’t really until 2005 or 2006 – 100’s of blog posts in – that I started getting a feel for what resonated with the audience, what was actually useful, what made sense to publish (and not). If you go back, you can still see in the archives those early, early days of SEOMoz, you’ll see that those posts are not particularly great or useful, they’re not all that readable, the writing isn’t terrific, the topics and headlines aren’t great, but then it slowly, slowly, slowly gets better. I think that’s a part of why so many content marketing campaigns fail is that a company says, “Okay. Now we’re going to invest in content marketing,” and expect that 6 months in they’re going to have ROI. Nope, that’s crazy! You know, I don’t expect to have ROI day 1 with any sort of inbound or organic marketing practice. Those are things that you build up slowly over a long period of time. You start to grow a brand, you start to get good at empathizing with your audience and figuring out what they want, publishing good stuff, getting better as a writer and publisher, getting better as a promoter of that content, building up a network that will help you grow out that content. It’s a flywheel, and it’s very hard to get it started, and once it gets turning, it’s relying on inertia to keep moving faster and faster. Yeah, when I worked in “agency world” – I’ve spent 10-11 years in agencies – that’s what I would tell my clients, right? It’s like a 401k versus stocks. Stocks would be pay-per-click, right? You can invest in stocks and it’s a little bit risky, but once you sell those stocks and turn it off it’s gone. Whereas if you keep investing in your 401k it’s going to keep growing and growing and growing slowly (you won’t see the gains [right away]. I think in marketing, and to your analogy, the reason that so many long-term content marketing plays work so well is because those people have patience, because they’ve invested over a long time, and because very few people are willing to have that patience and that tolerance. Unfortunately, very few people are willing to invest there, but that is a good thing for those of us who do because it means a lot less competition. and 2016, you went through the process of fundraising, and that’s something that many startups struggle with. As best as you can, can you tell us what that was like, and what might have been the impact – not just on the business but maybe even on the team – at the time? Yeah. We raised our first round of funding in 2007. That was from Ignition Partners and Curious Office. It was $1.1M and they basically reached out to us. So, it was less of a fundraising process and more of a ‘you know I’ve had a few coffees with these folks’ and we sort of decided that working together sounded interesting. There were some things I wanted to do at Moz specifically to build our link index that required capital, and I think that round was actually extremely positive. We essentially took that money, hired a few engineers, built our link index in Amazon’s cloud (launched that 9-10 months later), and by a year after we’d raised the investment [November 2008] we were profitable again. I think that was an extremely health cash infusion, a really smart move, something that I’m very glad that we did. It clearly helped accelerate the business’ growth and allowed us to build this technology that I think without it we frankly wouldn’t have been able to do. The only big downside is that it comes with this requirement that you have a relatively extraordinary exit. And look, when you raise $1.1M you have a lot more freedom, right? That’s not a huge amount of dollars. If you can return $5-10M to the fund it’s not going to make a huge difference to Ignition [Partners], but they’re certainly going to be fine and comfortable with it. And so, that was growth that was absolutely possible. The later fundraising efforts, so in 2009, in 2010, and in 2011, over the course of Spring, Summer, Fall respectively, I tried to raise money again going down to Silicon Valley, meeting with investors in New York and Boston, and basically came up with nothing. I probably pitched a grand total of 60-70 firms and partners over the course of those 3 different efforts. One of them was particularly intense, I probably talked to 40-42 (somewhere around there), and yeah it was a huge distraction, big time waster. Obviously, didn’t get any funding in those efforts, and [I] didn’t really find someone who was a great match for us either. In 2012, we did raise a round with Brad Feld at Foundry. We raised $18M that round and I think felt amazing about that. You know, it felt like we were on top of the world when we closed that round because I had been working so hard at it for so many years to try to make this happen to find an investor who was a good match for us, and I think Brad and Foundry really were. I think not realizing the other components of that which was that we now felt this artificial sort of foolish pressure to invest that money quickly to find quick growth. That I think is what sort of had a negative impact on the business because we became very unfocused, we were flailing around looking for anything, we bought a bunch of other companies, tried to launch a whole bunch of new products, tried to make all these different things work, and in the meantime weren’t investing in our core SEO software and were getting passed by other people in the market. By 2015-2016, we were seen as no longer the market leader in SEO software and that was really hard. So, you mentioned it a little bit. You went through the process of acquiring a couple companies, Followerwonk and GetListed. So, is there anything you learned form both of those acquisitions in particular, and how did they end up working out? Yeah, I mean I think that the big lesson that I learned is: unless you are the runaway leader in your field, can continually invest in being the best, and you have sort of a department or division that is just running very, very smoothly, you probably should not try to take on new things, right? You should be great at the thing that got you where you are, you should continue to invest in that. You better stay ahead of your market, because frankly in B2B software switching costs aren’t nearly as high as people think they are. And folks are very happy to move over to a new platform or a new piece of software if it does a better job than what you’re doing – especially in SEO which is so competitive. There’s only a few positions on page one, so anything that gives you a boost you’re going to go to. GetListed obviously turned into Moz Local which is a good product and a decent business, but I think that and Followerwonk, Moz content and investments (we were trying to sell our API), and then we were trying to build a sales team, do enterprise, and expanding our conferences from Mozcon to Mozcon Local…it was just too distracting. We were selling eight different things instead of one thing, and that was really more than our team, our audience, and our platform could support. Okay, I feel like we’ve covered a lot and I’d be remiss to not talk about the fact that when you started you did consulting, right? And then you eventually shifted to a SaaS product in addition to some of the stuff you just mentioned. Can you talk a little bit about the evolution of what went into going from the consulting to the SaaS model? Yeah, well like I said it was very accidental for us. We had some tools, we didn’t know if they’d be popular, we weren’t intentionally trying to build them for an audience (we’d built them for ourselves), and we launched them. So, it’s very different from an intentional transition where you say, “Okay, I want to build a product business, and how can I do that?” Yeah…we’re not quite that story. I think what made it work however, is that we’d already attracted the audience that was NOT our core customer for consulting but WAS our core customer for our software product. And that was just by virtue of this kind of intersection of my passion for talking about SEO and the history of the blog there. I think that very few consulting companies are attracting a large audience of people who would buy software that they would build, right? I think most content marketing efforts are intentionally designed to attract your core customer, not some other person who might be a customer for something else you might build in the future. And so I would certainly urge anyone who’s thinking about making that transition [to] find a way to build that audience first. If you have a way to reach them, your costs of customer acquisition are much, much lower. If not, you could launch a great product – I’ve seen tons of consulting services do this where they launch a great product for people they think are going to be great customers, but they can’t find them, and attract them, and retain them affordably. You know, it just costs them so much money to get every new customer and they can’t find enough of them. (2) you also made the decision to hand over the CEO duties to Sarah Bird. So, I’m just wondering, what went into kind of both of those decisions? And for people that are maybe kind of struggling themselves in terms of those types of decisions (running the business, managing the business), what advice would you give based on how you approached those situations? No, totally fair. So let’s see. I would say with stepping down as CEO, I wrote about this in the book, but that decision was based almost entirely on my mental and emotional state at the time. I’m not sure that that was actually the only or right move. I certainly could have stepped back in my duties and responsibilities and asked some other people to step up, but I just didn’t think about it at the time. I felt like I had to go all the way. So I had some conversations with our investors and I said, “Hey, I want to make this transition, and I want to make Sarah CEO.” They were comfortable with it and so I stepped down in 2014 and Sarah took over. My big goal as CEO at the end of 2013 and entirely 2014 was ‘Let’s return to profitability’ – get profitable again so that we never have to raise any more money and we don’t have any risk of layoffs and that kind of thing. I think that proved to be really, really challenging and then 2.5 years later we met with the board and made the decision to do layoffs. We were just burning so much cash. And you know, all of these businesses were making money and growing, but just not fast enough. And so, yeah. We shut everything down except Local and Pro and then basically focused on those businesses. In end of 2016 into 2017, I just had a lot of conflict with the CEO and so in 2018 left the company sort of pseudo-voluntarily. So, I don’t want to get into anything personal or not public, but is there anything you can share from that? I mean, just that you know, the way I wrote that was the best that I can do to describe things, right? If a 5 is sort of right in the middle, this was a little on the not good side of that. And certainly, I think it was a very, very painful hard ugly experience going through it. I have a lot of regret and some anger and resentment too, but at the same time starting a new company has proven to be a really great thing. And so far – knock on wood – Sparktoro has been kind of charmed. [I] found a great Co-Founder, we’ve had some great early press and amplification, a lot of people who’ve checked it out who follow the blog and who’ve signed up to get emails. We launched a little side-project called Sparktoro Trending which is kind of designed to be like a Hacker News or tech meme for marketing and that has gone very well (a few hundred to a few thousand people visiting that every day already). That’s made me feel good about (I mean that’s a side project) the product that we’re eventually going to be building through the company. So, yeah some sad things around leaving Moz then some hopeful stuff around the new company. Yeah, so last thing about Moz and I promise we can move on and put a wrap and talk about some of the other stuff, but you know, you turned Moz into a really, really successful company. If you look at the revenue, you grew in 2008 from almost $2M to almost $47-$48M almost 10 years later. That’s (over the course of time, like a 401k it grew steadily – maybe not as fast as you wanted it to – but that’s) wildly successful. So, what are you most proud of with respect to Moz? Okay, so first off. I’m most proud the people we’ve helped. That’s what I’m most proud of. I am most proud of being able to help so many people learn this practice that was so hard to learn when I was getting into this field. That made me feel like I really accomplished something positive with the company. The assertion that Moz is very successful I think is fundamentally flawed though. So Moz has many characteristics of a successful company and would absolutely be considered wildly successful if it were privately-held (with no institutional investors is what I mean). Once you take institutional investors you are only consider – you know – success becomes a very clear line of demarcation, right? And over (t)here is, ‘You’ve done that’ right? You’ve returned – whatever it is – depending on the fund size, how long it takes, and how much money 3-50x the amount that was invested. And Moz, maybe hopefully will over a 10-15 year lifespan will potentially return probably on the lower end of that (3-5x) if we’re lucky, if Moz does well and continues to grow, then manages to survive this competitive field that it’s in, and has a successful acquisition or maybe an IPO a long time from now. It’s possible, but I would say that is still a very risky bet. That’s actually a really good point of clarification because folks like me look at it from the outside and make some assumptions but kind of what the reality is is much different it seems like. Yeah, I mean I think that people who say, “Oh, Moz is a wildly successful company,” forget that it needs to return that capital, right? And that you know – it’s not like Founders and employees make a lot of money you know make more than just normal salaries. In fact, probably lower than most market salaries than what they’d make at Amazon or Google or something because they hope that their stock options will someday be worth something, but that’s all resting on this (hopeful) transaction in some future time frame. And Moz has only had one serious acquisition offer in early 2011 that would have been extraordinary but I turned it down. I thought that it wasn’t for enough money at the time, I think I was greedy and cocky, and young and foolish, and yeah – that ended up probably being a huge mistake. Yeah, yeah. Well, I just hope — this is why the book exists, right? ‘Lost and Founder’ is out there so if you are starting a company, or you’re joining an early-stage company, or you’re thinking about doing some of these projects or products, you will make mistakes! You will make terrible, dumb, stupid mistakes that you will beat yourself up for. I guarantee it. But you don’t have to make exactly the same ones that I did!! Yeah. So assuming somebody has not yet or everybody (well, maybe not everybody), but at least everybody in the SEO space probably has heard about the book ‘Lost and Founder’. So, assuming that you’re not in the marketing space, but you’re a startup Founder and entrepreneur or looking to become one, if you pick up ‘Lost and Founder,’ what should you expect to get out of it? And I think that is a really powerful thing, to not feel alone, to feel like everyone makes these mistakes, everyone goes through these hard times, no one has a perfectly blessed experience. (2) I think the other thing is that there’s just a lot of individual lessons that resonate with people. It’s always different, right? For some people, it’s the chapters on hiring, management, and how to build a great team. For some people, it’s on building values and culture. For some people it’s the marketing chapters, right? The flywheel versus the growth hack kind of stuff. For other people, it’s been the services and product-based business or how to build a network in your early years when you may not have one. For some folks, it’s the later chapters on focus and layoffs and depression. So the book is not about one thing, and so I think that everyone has something different that resonates with them strongly, and that’s been kind of cool to see too. Excellent, yeah I’ve read – like I said I’m about 1/3 of the way through, and some of the early material (especially), there are kind of a few funny anecdotal stories that you go through – especially the one with the debt collector. Although I’m sure that probably wasn’t so great for you, [it’s] probably funny to look back on it. But yeah, the stuff that you went you went through and that other Founders might go through, kind of going all the way through the process for me was pretty enlightening and definitely in line with what we hear all the time on this side [Startups.co]. Whether it be Founders who are kind of sharing their experiences with us [Startups.co] or our own Founders who are kind of veterans of many, many businesses for many, many years themselves – so you know I’m just the lowly marketing guy – but I know kind of hear a lot of that, and a lot of it I think is definitely going to resonate with anybody who picks the book up for sure. So, you kind of touched on Sparktoro — that’s your new company! You just close, very recently, $1.3M in angel investments, 75% close-rate on your email (to investors)…can you talk a little bit about Sparktoro? So, one of the problems that I saw very often in my career at Moz was for folks who didn’t already have a lot of search volume for the products or services they were offering. They needed other ways to do their marketing other than search, right? SEO is not going to help you if no one is searching for what you are selling. You have to go out to your market and try to get in front of them and reach them. And that practice is TOTALLY manual! Totally manual!!! It’s just ridiculous. Oh my God! Are you kidding me?!? That is ridiculous! I mean, it looked like SEO in 2002 or 2003 when there were NO tools to do this stuff. You made the decision to make Sparktoro’s funding documents public, which as I understand it is not a normal thing. So, what went into that? So with Sparktoro we raise a very, kind of unusual round. I think you can gather from our conversation that I have some frustrations with the venture model and the binary outcome/success requirements, and I didn’t want to do that. I didn’t want to hamstring Sparktoro in that way. I believe that there’s a big market here. I think that Sparktoro could be a business that’s as big as Moz is, or even bigger. But, what if that’s not the case? What if I find out that the market taps out in the $3-10M in revenue per year range and growing after that is really hard? Well, what is Sparktoro has 5 or 6 employees and is doing $5-6M in revenue and has great margins but it’s not getting super-high growth? That still could be an extraordinarily successful company if only you structure the investment in the right way, right? And basically our salaries (mine and my Co-Founders), as well as our ability to benefit from Sparktoro’s profitability is limited until we pay back our investors 1x the $1.3M that they put in and then after that everyone participates prorata in the profitable growth of the company. So any profits are sent out to everyone. So, you know, [if] Sparktoro makes $1M in profit and a couple hundred thousand of that goes to investors as well. First, the $1.1M goes back to them, then a couple hundred thousand goes to investors. So, I guess my question is, why the transparency? Because I hate that the venture model is the only one, right?!? It’s not [technically] the only one, but all the angel documents that you’ll see out there for fundraising, all of the open-source documents, they’re all designed to – you know the seed round stuff, the convertible notes – they’re all designed to price when you do the venture round, right? And so, this company [Sparktoro], I don’t want to raise venture. I know there’s lots and lots of companies and entrepreneurs who think the same way that I do. And hopefully it saves a lot of people time, money, and effort. Hopefully, it also gets a few people thinking about how they want to build their businesses differently. I think transparency, I mean you seem to be transparent in many of the things you do, and I think that’s definitely something from an industry-standpoint that I tend to agree with the philosophy. It may be helpful and may help break down walls for other folks facing the same problems. Last question[s] on Sparktoro, and this one is more specific to how did you find your Co-Founder? Any advice from you in terms of what synergies – if somebody is a sole proprietor, bootstrapping, or going it alone – what did you look for in a Co-Founder? And what made Casey Henry a good fit for you? One thing certainly was someone who shared my values and the way that I like to work. So Casey and I are both passionate about this alternative form of fundraising, and building up the company with profitable growth. We both like small companies, companies that don’t need to be hundreds of people. I think we both like things, sort of 50 people and under. We both wanted to build a remote-work culture. So, have people who are able to work from home and be flexible. Casey is kind of a stay-at-home Dad, or the primary parent at home for his family for a lot of stuff, and I think enabling that kind of thing is something we’re both passionate about. And we also have a lot of the same beliefs around what makes for a great employee, what makes for a good team, and what doesn’t. And then I think Casey is also someone who bolsters my weaknesses. You know Casey is very strong on the technical side. He’s sort of a very talented full stack engineer, [and] has done both lots of front-end and back-end work which means that we don’t have to contract a lot of that stuff. He can manage everything from the WordPress blog to the actual crawling of the data and building the databases for the system that we want to build. And I can continue to do my sort of product design and product marketing, as well as being (a little bit) the face of the company and managing a lot of those sides. So we complimented each other well on the skills side, but also on the values and beliefs side. Awesome! Yeah, absolutely 100% important that you guys are kind of able to fill each other’s gaps right? I think personal branding is something that came because I like writing and sharing (and I happen to be good at it), but there’s a million ways to build a business and not need to be that personal face. So, I certainly wouldn’t encourage anyone who doesn’t want to be to do it. It’s only as valuable and useful as you have passion for it. And I think I’m not a reluctant personal brand, but I…it’s not something I intentionally invest in, right? And that happens to attract also a reasonable degree of following. Yeah, I’m sort of weird. Yeah, I totally get that. I’m definitely [a] very shy, introverted person which I think has to do with not wanting to go to and/or speak at conferences despite the fact that I’ve got a lot of experience, brings me a lot of anxiety, but then when you finally push me up there I can do okay. Yeah, yeah. Haha. I’m fine on the stage. It’s like when you get off stage, and then you’re meeting tons of new people, and then you know those people are like, “Oh yeah! We met like 6 years ago at this event!” “Oh no, I forgot your name! Terrible! !” You know that… I have a really tough time with that. Yeah, I definitely am right there with you! On gender equality in the workplace, HARASSMENT, and more. So, just in following you I know that you’ve been a huge advocate for women’s rights, equality in the workplace, definitely with today’s political climate a lot of talk around this between the #metoo movement and everything else going on. Can you speak a little bit to that, especially as it relates to somebody running a business and kind of factoring those things in as they grow their team? I think that the statistics are obvious and clear, right? Gender-diverse teams dramatically out-perform non-gender-diverse teams. And, Casey knows that I attempted to recruit several women to Co-Found with me, but I think that that’s going to be something that we try to invest in very early on as well. But the other thing, besides just the statistical benefit, I think that one thing that I do worry about is, I worry that/about many men (myself included). For a long time, I never thought about how my experiences, my success was sort-of so dependent on my gender. I’ll give you an example, right? And just that psychological…even if nothing bad actually happens, and something bad almost always has happened to almost every woman I’ve talked to. But even just the pressure of having to think about that every time. Investors…most of the investors that I’ve met, the venture capitalists, the folks who I’ve pitched, they were connected to me through CEOs that I’d often meet through social events, through conferences and events, that kind of stuff, right? I’d go down to Silicon Valley, I’d speak at their company, and then we’d like go out for dinner that night, and then we’d maybe end up back at somebody’s apartment drinking, and no problem, right? I didn’t have to think twice about it. And you know you read books like Emily Chang’s ‘Brotopia’ and you see just the insidious nature of this stuff, and as a guy you just don’t have to think about it so of course you think it’s easy. Of course you think it’s equitable because for you it seems simple. And I think that we, especially those of us who are in marketing, right? Our whole job is to have empathy for our audience, empathy for other people, we can put ourselves in their shoes so we can understand their behaviors, their buying habits, what they act like, what they do. And I think for men – we need to be able to do that for women, for people who are white, we need to be able to do that for people of color, for people who are fully-abled, we need to be able to do that for people who are not fully-abled, for people who are young, we need to be able to do that for people who are old, right? So, I think that that’s just something fundamentally comes with the territory of being a human being, and if you’re not behind that…well, we’re not friends. Yeah, absolutely definitely agree. I’ve never had to worry about that. In fact, one of the things that I think I’ve noticed working in the digital marketing space, especially with women on the digital marketing teams, [is they are] constantly feeling “mansplained” to – even by their own [team members]! And I’m like, two years ago I didn’t even know that [“mansplaining”] was a real thing! Yeah, and I feel like, I mean it’s one of those crappy things where I think even when your intentions are good sometimes you – due to historical gender dynamics – just fall into patterns. And so I think that being aware of it, that’s the wonderful thing about all of this. I think you and I, and the generations to come, right? They’re aware of it. People are talking about it, we know what it is, it’s entered the lexicon, and so I think that is the first step to making a change. You have to talk about it to know about it so hopefully there’s progress there. Let us know what you thought about the interview in the comments below! If you’d like, you can connect with Rand on Twitter, LinkedIn, Facebook, or see what he is doing at his new site over at Sparktoro.com.